A native of Fort Wayne, Indiana, Liz Povar is the founder of The RiverLink Group, a Virginia small business professional service firm focusing on the intersection of intersection of higher education, workforce and community development. The RiverLink Group's clients include economic development organizations across rural Virginia, as well as education and non-profit organizations. With over 35 years in economic development, Liz served for 21 years in various leadership roles with the Virginia Economic Development Partnership, most recently as Vice-President for Business Expansion where she was responsible for leading VEDP’s for Business Retention/Expansion, Partner Communications, Higher Education Partnerships, and the Virginia Jobs Investment Program. Her career with VEDP included serving corporate clients such as Microsoft, Rolls-Royce, Merck, Dollar Tree, DuPont, SAIC, and the SRI Institute. Prior to joining VEDP in 1995, she served for 10 years as Director of the Emporia-Greensville Industrial Development Corporation, a local rural economic development agency. She is a graduate of Bluefield College with a B.S. degree in Organizational Management and received the Certified Economic Developer designation in 1997. In 2014 Liz was named the 2014 Alumna of the Year for Bluefield College and also received the Jorman D. Granger Service Award from LEAD Virginia. She is a past President of the Virginia Economic Developers Association and received its Cardinal Award in 2011. She is co-founder of CARES (Children Are Really Extra Special), a rural business-education partnership, and currently serves on the Board of Directors for Virginia Advanced Study Strategies, Inc. (VASS); the Virginia College Fund; the Rappahannock Community College Advisory Board; the Advisory Board for the Virginia Rural Horseshoe; the Advisory Committee on Rural Strategies for the Virginia Economic Development Partnership; and the Advisory Council for the Commonwealth Graduate Engineering Program. 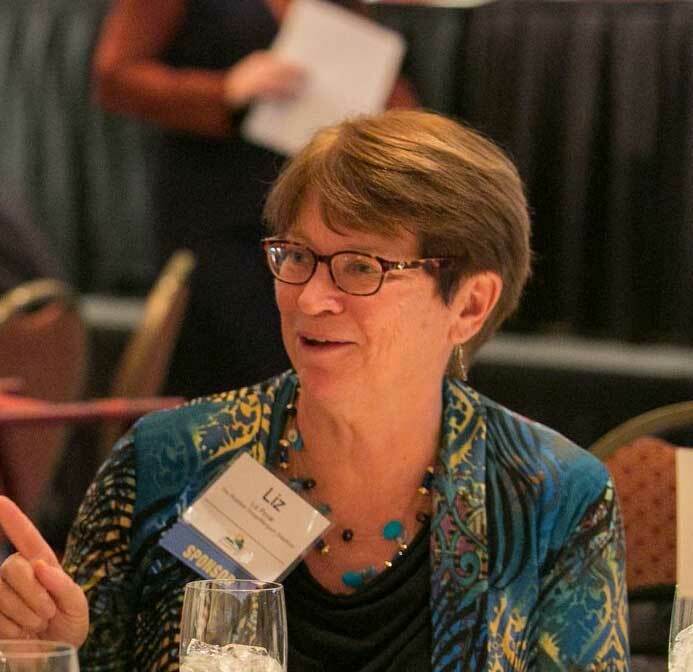 She is a previous Board member of LEAD Virginia, served as the economic development representative to the Virginia Career Pathways Task Force, the Wallops Island Regional Alliance, the Board of Directors for the Virginia Bioscience Health Research Corporation (aka Catalyst); and was ex-officio to the Commonwealth Center for Advanced Logistics Systems (CCALS). She is a past president of the Emporia Rotary Club. Liz is married to Tedd Povar, Associate Director for the Virginia Institute of Government. She and Tedd are proud parents and step-parents to seven adult children and their spouses/significant others, and blessed grandparents of nine delightful - i.e. perfect :-) - grandchildren.